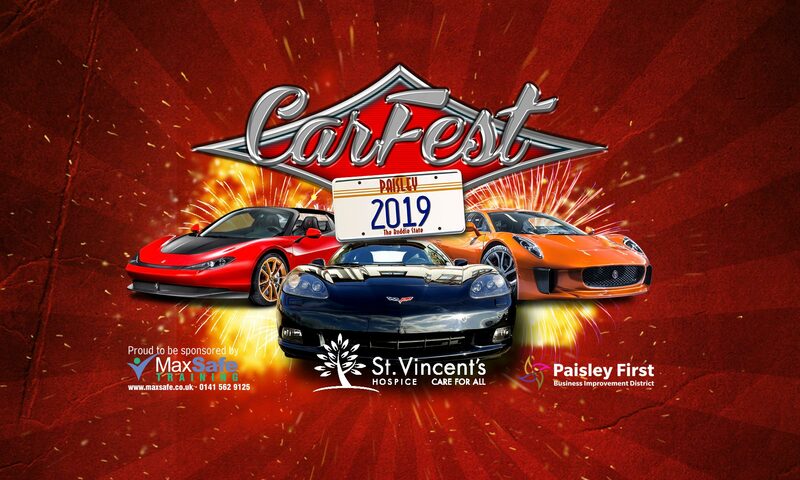 Year 6 of the St Vincent’s CarFest in Paisley town centre. This year’s event aims to be bigger and better after the success, and lessons learnt, from last year. Introducing all manner of vehicles no matter how old, how big, or how many wheels. Loads for the whole family to do with stalls, games and music. Everything from Minis to Muscle. This year we will have all the cars located in Gilmour Street and the High Street. This is a fundraising event for St Vincent’s Hospice in Howwood. Proudly organised by MaxSafe Training and sponsored by Paisley First.